I have added some custom fields to a Discussion Board list in SP 2013 that are populated using Workflow. I do not want these to appear in any of the create or edit item views. I have marked the items as Hidden in the Settings: List Content Type but they are still showing in the NewForm.aspx and EditForm.aspx views. Discussion board has two content type. Discussion and Message You need to mark them as hidden in 'Discussion' Content type of list if you do not those fields in form on 'New Discussion' and mark then hidden in 'Message' content type if you do not want then in message i.e reply of discussion. Not the answer you're looking for? Browse other questions tagged 2013 column discussion-board or ask your own question. 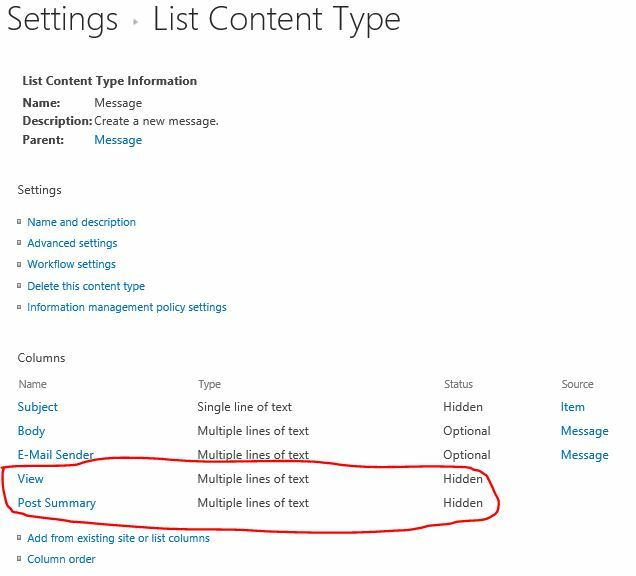 Content Type issue with the Discussion Board in SharePoint 2010? 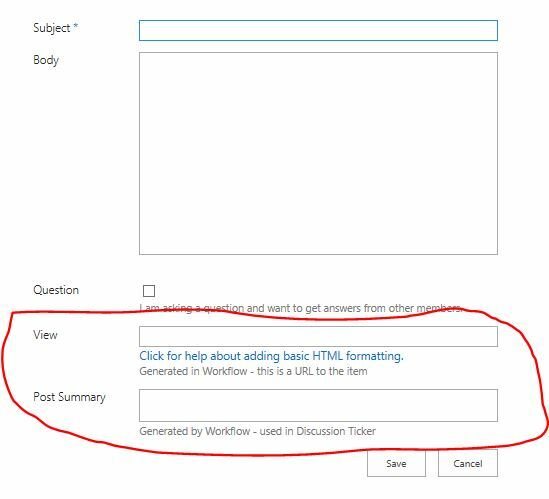 How do I set up alerts per Discussion Board in Sharepoint 2010?